Tostran is used to treat low testosterone levels in men. 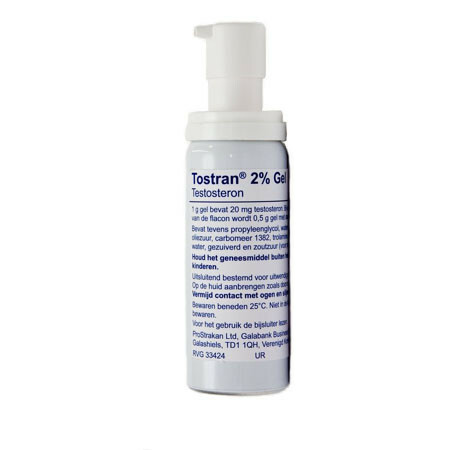 The active ingredient in Tostran Gel Pump is testosterone and is applied to either the abdomen or both thighs. Apply 3g (60mg) of the gel once daily. Maximum 4g (80mg) daily if needed. DO NOT EXCEED this dose.